Discussion in 'ASUS AC Routers & Adapters' started by thiggins, Nov 15, 2017. 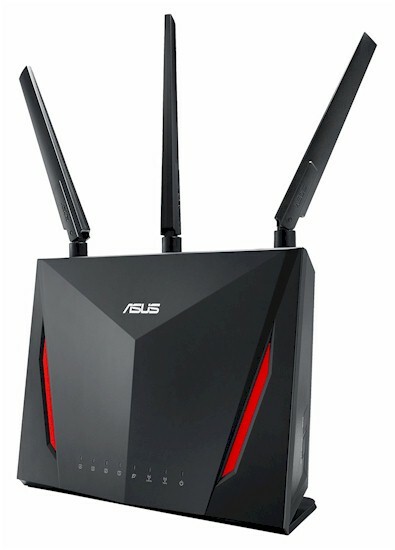 ASUS' RT-AC86U Dual Band AC2900 Wireless Router aims to replace the RT-AC68 as ASUS' mainstream midrange router. Clark Griswald, pepemosca, Trentors and 1 other person like this. I had no luck getting the AC86 to recognize either my standard Startech USB 3.0 eSATA to SATA Hard Drive Docking Station (SATDOCKU3SEF) or a WD My Passport Ultra drive after multiple attach/detach cycles and router reboots. So, not storage performance results. That's odd. My own WD My Passport Ultra works fine here, it's what I used for my own tests. Have you disabled the USB 3.0 interference option? 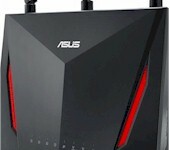 I believe Asus still keeps that enabled by default, because they want wireless performance to be favored over disk throughput. Pretty fascinating that the 86U beat the 7800 on router ranker. When I look at the performance scores, the 7800 whoomps the 86U. I guess the poor HTTP and bufferbloat scores for the 7800 pull it below the 86U despite the much better wireless performance of the 7800? I tested the new Broadcom Dynamic QoS profile on the R8500 during a recent UI test, it’s definitely better than the Qualcomm’s Streamboost now in DSL reports Speedtest in terms of bufferbloat and overall latency. Wireless wise I guess it’s expected the R7800 would do well considering it’s a 4x4 unit compared to a 3x3 unit with the 86U, not that the latter was a slouch by any means. 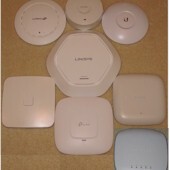 Hey I'm not seeing my Synology AC2600 router in these router comparisons anymore, like it used to be #1 at one point, has it been kicked to the curb now in favor of these newer routers? It was tested using the Revision 9 Test Method. I have to say surprised by the results too. The R7800 comes in at #3 with better performance scores, yet price wise in the UK the RT-AC86U will retail around £199 compared with the R7800 at £159 on Amazon at this time making for myself the R7800 the better unit at this time. Click the "Performance" link on the Ranker for the two products and compare the sub-ranks. You can also use the Rank selector to compare sub-ranks. All that should have done was limit performance to USB 2.0 throughput. I did not change the setting. I'll give it a quick try. Since I have been testing bufferbloat, I have yet to find any router with anything higher than a few ms latency. I test products in default settings, which usually don't enable any QoS features. 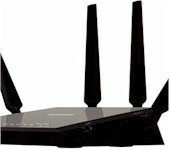 The Total Rank score includes both Wireless and Wired routing performance. Wired performance is weighted at 30% of total score. I meant latency under load specifically upload, with VDSL2 on CenturyLink 40/5 (36/4.5 actual) upload latency can hit 390-490ms and sometimes 1000+ ms without QoS. 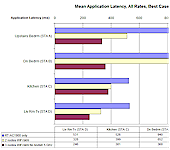 QoS can get me between 25-40 ms. It forces devices to negotiate USB 2.0 protocol. I've seen various USB devices that didn't like it, and would fail to be recognized when doing that. Another reason why I believe Asus should really default this setting to be disabled by default. Our test is done under full load. My point is bufferbloat is more due to the internet connection vs. the router. Killhippie and avtella like this. The same drive has been used for all router storage testing, USB 2 and 3, for years. When there have been problems, it has been on the router side. The test drive has three partions, FAT, NTFS and EXT3. The problem isn't with plugging the USB3 disk to a USB2 port, the problem lies in the dirty hack Asus uses to force the downgrade to USB2. 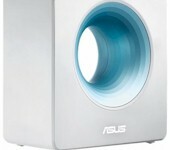 The problem is specific to Asus (no other vendor implements the same hack AFAIK). Bufferbloat is also typically a combination of multiple factors. Some cablemodems are pretty bad there, regardless of the router used. Computer NICs as well, some are very aggressive in their buffering. avtella and beboptrumpet like this. I gave storage testing one more shot and this time it worked. Article and Router Charts updated with the results, which were pretty good. For USB 3.0/NTFS, results were 71 MB/s write and 104 MB/s read. Weaselboy and RMerlin like this. Those numbers are in line with my own tests here with the stock firmware. FWIW - Bufferbloat is vastly overstated, and increased bandwidth offerings from the ISP's has helped, along with tweaks in the QoS from vendors does assist in solving that problem. As mentioned in the thread - most of the bufferbloat issues these days are at the ISP level, not the edge where reviewed devices exist.